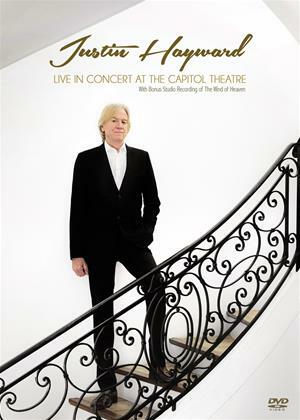 'Justin Hayward: Live In Concert at the Capitol Theatre' is the latest video release from the legendary Moody Blues vocalist, guitarist and composer. This intimate performance recorded in surround sound has been expertly captured by award winning filmmaker and composer David Minasian, and is truly one of Justin's finest solo performances. The video includes three bonus music videos.